Fiona Boyes is the standard bearer for Australian Blues. A guitarist of unique and distinctive style, she is the spiritual love child of Hubert Sumlin and Ry Cooder. A dramatic and stylized singer, she channels the old school bombast and laissez-faire of Bessie Smith and Memphis Minnie with a sprinkling of Wolf grit. In an already highly productive and awarded career, Boyes has hit a prolific period, releasing 3 records in the past 4 years. 2015’s Box & Dice was a razor sharp workout for her titular cigar box electric. 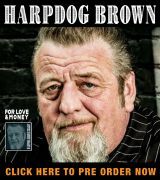 2016’s pastoral unplugged Professin’ The Blues won Blues Blast’s Acoustic Album of the Year and is a dazzlingly intimate portrait. 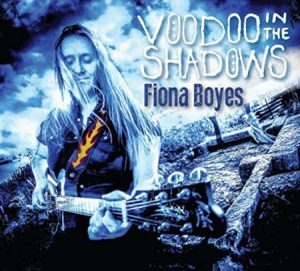 Boyes’ newest, Voodoo in the Shadows, builds off the conceptual success of the previous two albums and delivers a diverse yet highly focused statement about the artist and her muses. Rolling through the Mississippi Delta and trying to make friends on the way, Boyes offers us a glimpse into her travel journal as she sets a high-water mark for how a Blues album can be produced. As big and upfront as Boyes’ talent is, she is a giving collaborator who ensures her sidemen shine. Drummer Mark Gruden skitters around creating music out of all kinds of things you can bash on. New Orleans’ Johnny Sansone plays nimble harmonica and adds Cajun accordion to one track (funny enough not the song “New Orleans”). The secret weapon here is multi-instrumentalist Tim Neal. A Swiss-army knife of a musician, Neal adds pulsating bass and Hammond B3 primarily. Coupled with sprinklings of piano and even a highly effective bari-sax solo, Neal’s contributions are the perfect counterpoint to Boyes’ deeply emotive performances. The magic of Voodoo in the Shadows is the daring arrangements. The skeletal opener “Call Their Name” is just guitar and percussion buttressing Fiona’s incantation to the ghosts of real-deal Blues past. The Latin organ trio take on “Dark and Dangerous Love” smolders. Cigar box slide mutates the classically Chicago 12-bar of “I Ain’t Fooling.” The only solo performance “Tell Your Story Walking,” which is a comfortable mode for Boyes, is flipped by the use of the electric baritone resonator instead of a more obvious acoustic guitar. These tracks eschew expectation with arrangements that serve the performances while creating a fresh listen. Fiona Boyes is a great songwriter. She writes with a straight talk simplicity that belies depth and meaning. A song like “Don’t Leave Your Feet at Home,” (this is the song with that Cajun accordion), is such a clever and fun-loving cry to party. But it never gets hackney or overly obvious, just a genuine call to Dionysus. “With A Little Respect” is a gospel ballad about being spiritual without being a believer. This is yet another unexpected turn that breathes fresh air. Fiona Boyes Voodoo in the Shadows is an excellent record. Worth multiple listens in part because it is clear and straightforward. The talent in the performances and the interplay of these seasoned musicians playing such stellar material washes over the listener in waves of understanding. 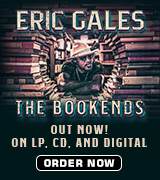 One feels like Boyes and crew are right in the room with you, explaining the fundamentals of Blues, life and love.